Your call: What's your reaction to Facebook Reactions? Like, Love, Haha, Wow, Sad, Angry, or something else? Let us know. 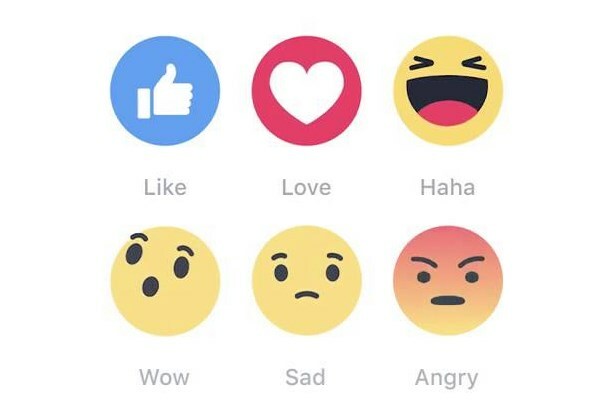 Love them or Angry them, Facebook’s new Reactions are up and running, finally giving users of the social media network non-verbal ways to respond to a post other than the ubiquitous Like button. Brands including Kit Kat, Samsung, and the Atlantic Braves quickly co-opted the five new Reactions - Love, Haha, Wow, Sad, and Angry (the Yay Reaction was killed in product testing because users didn’t understand it) – for branded social media use. How are you reacting to Reactions? What's your reaction to #FacebookReactions? How long should brands stay silent on social media after a deadly crisis?